The business of Washington still follows me even as I travel to New Orleans this week. 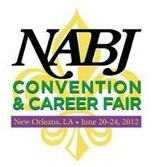 I was among hundreds of journalists present at the 37th annual NABJ Convention and Career Fair. 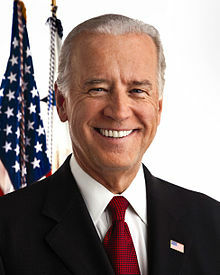 Vice – President Joe Biden was the keynote speaker this year and he did not beat around the bush at all. He wanted to give a clear distinction between what President Obama and Governor Romney could offer Americans in this presidential election. Weeks before Governor Romney is scheduled to speak before the NAACP at its convention, Biden made his case to the majority African – American crowd about what the president could offer them if given four more years. It’s no secret by now that some African – Americans have expressed some form of disappointment in the Obama Administration. At a time when both campaigns are reaching out to members of the LBGT and Latino community harder than ever, members of the African – American community feel ignored and as though their vote is taken for granted. What better way to appeal to this critical part of the Democratic base than through the journalists who cover issues most important to them? The focus of Biden’s speech was education and jobs. He told the story of when he learned his father, a blue collar worker, would have to leave his family in Clayton, DE in search of work, all in an effort to give his family a better life. A young Biden, in the third grade at the time, stayed with his maternal grandparents until his father saved enough money to buy the family a house in Wilmington, DE. Once his father got back on his feet and income was more steady, the Biden family rose into the middle class lifestyle similar to what many Americans enjoyed at one point before the Great Recession. It was a poignant story meant to humanize the vice – president and let the audience know that he felt the pain of working class families. It was in true Joe Biden fashion and a reminder of why he was so vital to President Obama’s campaign in 2008. Biden ended the speech by reminding the audience of black journalists that the upcoming election ‘comes down to a choice, not a referendum.’ He followed that statement up with perhaps an even more powerful statement – “Don’t compare me to the almighty. Compare me to the alternative.” That was truly the close to his half hour appeal to the African – American journalists and that group in particular. Personally, I wished that I would have caught the Vice – President during a year when there was not an important election on the horizon. His comments would have sounded less like political speaking points and more inspirational for the younger journalists in the crowd like myself. It was pleasure seeing him nonetheless and a great start to a memorable weekend in the Big Easy.